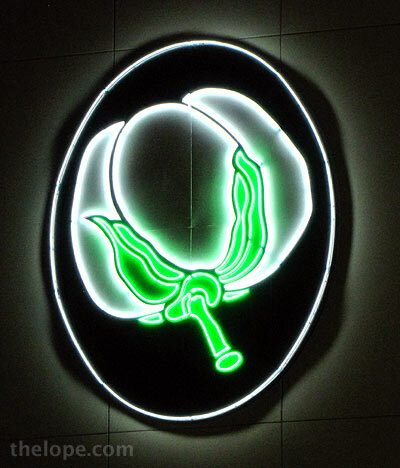 I'm not a sports fan, but I couldn't help photographing the cotton boll neon signs on the Cotton Bowl at Fair Park in Dallas during a visit to the State Fair of Texas this past October. I assumed the Cotton Bowl would be played there. But, no; since 2010 the Cotton Bowl Classic has been played at the new Dallas Cowboys Stadium in Arlington - this, despite over fifty million dollars in upgrades to the actual Cotton Bowl at Fair Park in 2008. 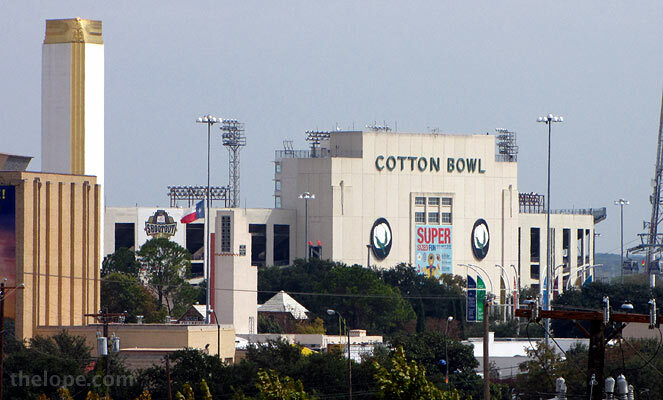 Oh well, visitors to events at the actual Cotton Bowl will still have the architectural perks offered by Fair Park. The Texas Longhorns and other Texas college teams sometimes play here, which I mention only as an excuse to show Ace in this sweater. 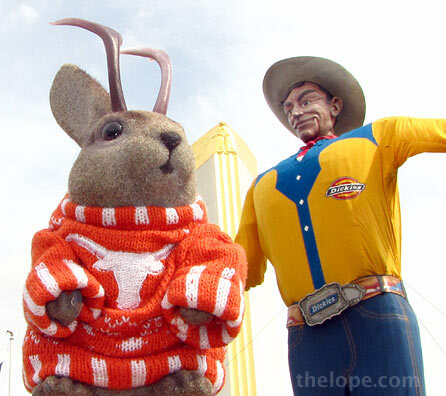 That's Big Tex, giant talking Cowboy mascot of the State Fair of Texas, behind him. Big Tex is set up near the Cotton Bowl, but only during the fair. 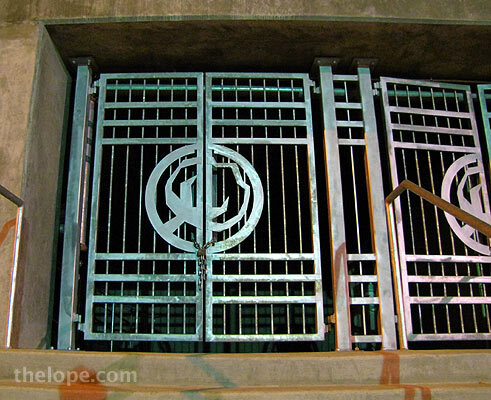 The cotton boll design is even repeated on the gates to the venue. A gondola of the Texas Skyway tram passes the Cotton Bowl during the fair. The LSU Tigers will play the Texas A&M Aggies in the 2011 AT&T Cotton Bowl Classic on January 7, 2011. I think they should change the name of the game if they're not going to use the venue..."Cowboy Classic"...something like that.